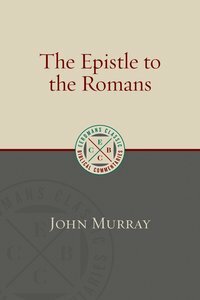 After a brief introduction to the authorship, occasion, setting, and message of the epistle, Murray provides a verse-by-verse exposition of Romans that is deeply penetrating in its elucidation of the text. In ten appendices he gives special attention to select themes and scholarly debates-the meaning of justification, Isaiah 53:11 in relation to Romans, Karl Barth on Romans 5, the interpretation of the "weak brother" in Romans 14, and more. Murray's classic commentary on Romans in this new edition will continue to be valuable to pastors, students, and scholars everywhere. About "The Epistle to the Romans (Eerdmans Classic Biblical Commentaries Series)"
John Murray was professor of systematic theology at Westminster Theological Seminary in Philadelphia. He is well known for his publications, Redemption Accomplished and Applied, Behind Frowning Providence, Free Offer of the Gospel, The Epistle to the Romans, (New International Commentary on the New Testament) and Principles of Conduct.